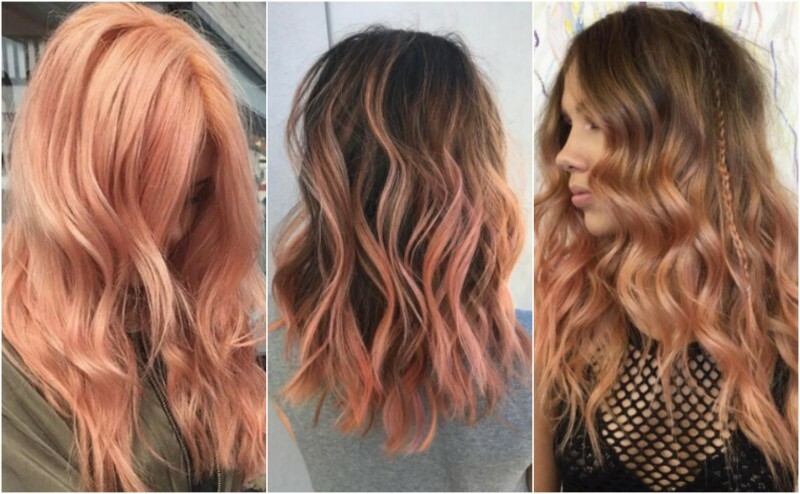 2017 hair trends got off to a bright start with the newest hair color creation: blorange. 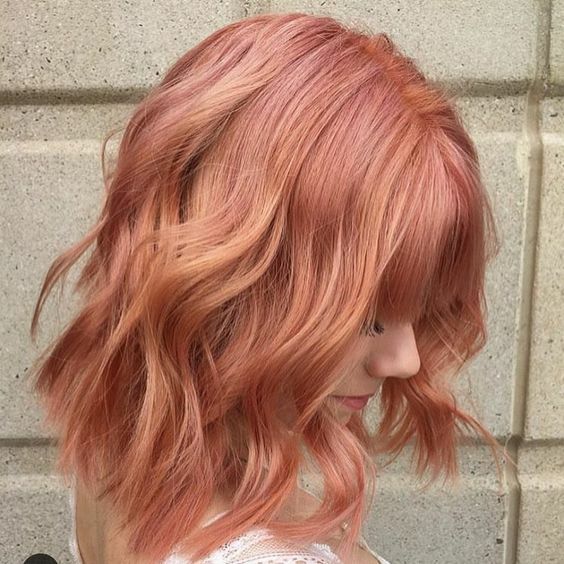 It’s a stunning, bright shade that incorporates tones of orange, rose and blonde into one cohesive look. If that sounds confusing, how stunning it looks makes up for it. 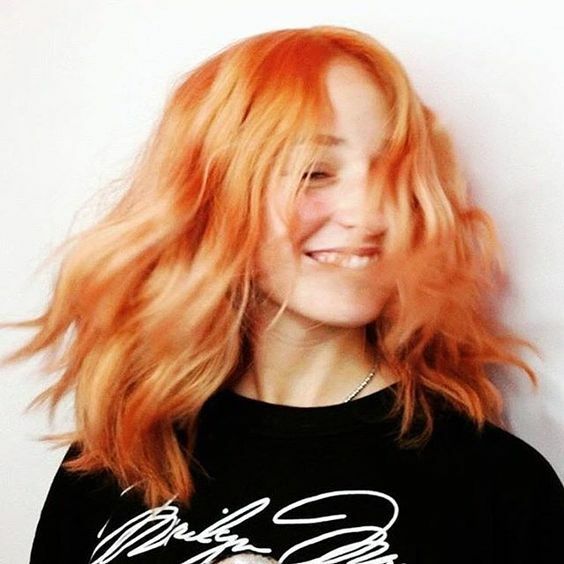 The trick with blorange is that is has either highlights or chunks of all shades, from bright rose tones to brilliant oranges to honey blondes. This is another one of those looks where you may want to head to a salon to achieve it. It has a ton of different shades going on, so the expert hands of stylist will be a plus here. 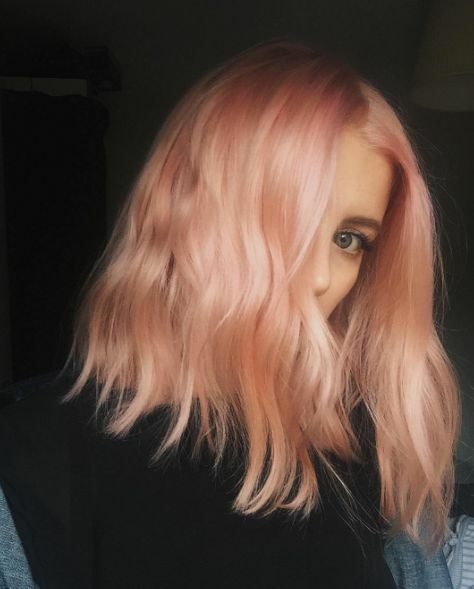 It’s created in the salons by combining a golden copper color with a pink fashion dye. 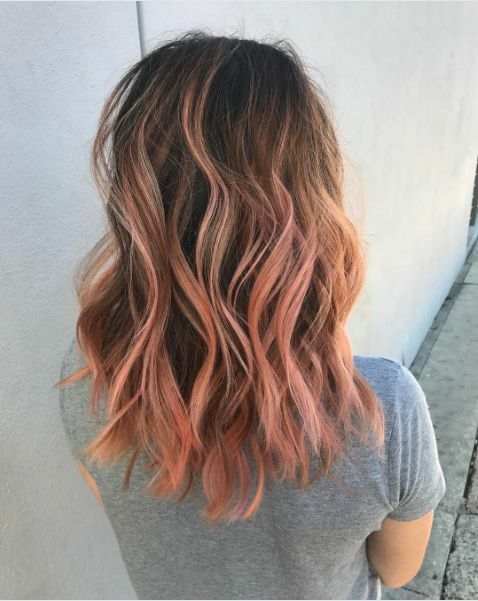 The difficult part with trying this from box dyes is that those copper shades tend to be really copper, which means you’re not getting the bright orange honey shade the look demands. One of the closest shades out there is going to be L’Oreal Paris Superior Preference 9GR Light Golden Reddish Blonde, and then you’d mix in some highlights using Matrix ColorSync Watercolors in Quartz Pink. The look will need to be applied over light blonde hair to show the best. If you’re tempted to give this style a try, below are several ways to wear this look. This is the look that most frequently pops up when you look for blorange photos. It has the brightest tones of honey, subtle rose and coppery orange. All the shades are mixed together to create a look that’s both multi-tonal and cohesive. 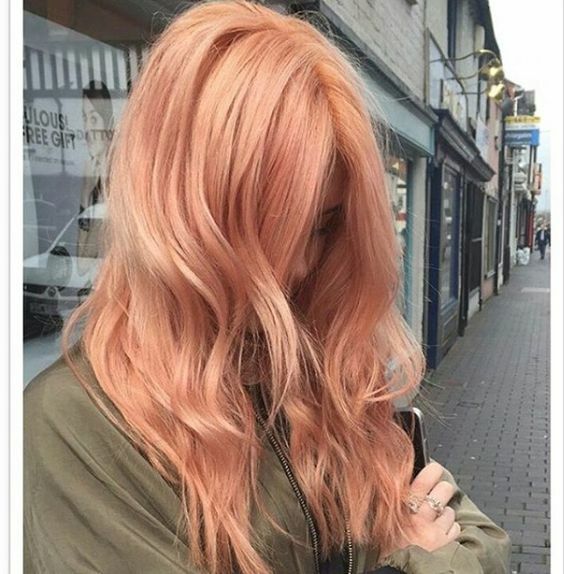 This look puts highlights of orangish-rose hues into the length of the hair. The highlights start in a wispy pattern above the ears and run thicker towards the tips. This look runs heavier on the light blonde shades with tones of very muted orange. 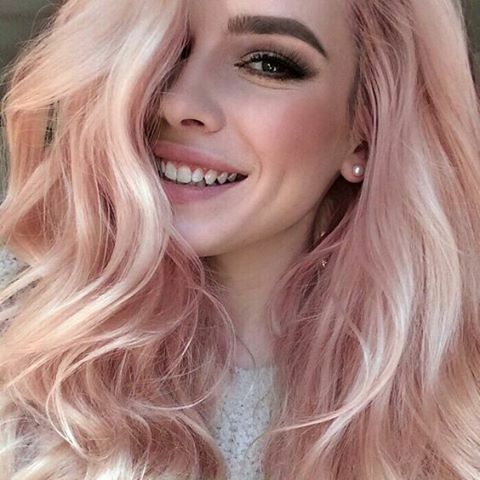 The lightest chunks of pastel rose round out this look. This look leans heavier on the deep rose hues, which are in bold chunks. It’s complemented by icy blonde tones and the most faded, subtle orange hues. This look mixes the lightest copper tones with bold rose tones into a chucky highlighted look. It’s good if you want to go super noticeable with the look. This look mixes in rose and copper tones in the bottom half of long hair. The tones are very light and are in wispy highlights. This look veers into the brightest orange, which is mixed in chucks around honey blonde tones. Rose tones are minimal to non-existent in this look.